You’ll Need an Internet Connection to Enjoy This. A few days ago, in their most recent newsletter, the folks at Frontier basically announced they’re killing the offline portion of Elite: Dangerous. This means even if you want to play the game solely with AI pilots, you still need an online connection (If you want more coverage, PC Gamer and Eurogamer are great bets). Now, to be honest, when I first heard this news, I thought to myself, “Oh, they planned an offline mode?” Seriously, I had no idea. Seriously, no idea at all that one was even mentioned in their Kickstarter a while back, since I came on board to the whole Elite train much later. I figured the “single player” mode they were offering was the Solo Mode already present in the game, which is the mode I mentioned above with the AI pilots. To me personally, this didn’t seem like a big deal at all because it granted, I thought, the same experience as only playing with the AI regardless of the connection. This is, however, coming from a mindset wherein I have a very fast and stable Internet connection with (thankfully) no caps on bandwidth usage. It only took talking to some folks on some forums I frequent (as well as glancing at the behemoth of a thread over on Frontier’s forums) to realize that this was a much bigger issue than I first realized. So here’s my thought: It’s unfortunate that some folks won’t be able to either play or get the full experience that was mentioned in the Kickstarter. It’s also unfortunate that, as Braben admitted, they waited so long to effectively dump this news on people. A lot of folks were excited about this game in the last several months, but recently I’ve seen the tide turn, and much of the talk is how flawed the game is or how it’s going to fail or what have you (hell, it almost sounds like Star Citizen talk in some places). I’m not sure it calls for the outright outrage I’ve been seeing on forums of late, however, as I’m not fully convinced this will prevent folks from playing the game outright, even with spotty or limited connections. Braben himself said when playing in Solo Mode, the game doesn’t need a fast Internet connection, which leads me to believe that for portions of the game that need a connection, like market updates and the like, they don’t need to be constantly updated. This could allow folks with slower or limited connections to still play, one would hope. Therefore, to the folks demanding refunds for no offline mode at all, I say wait until the game is fully released next month, test it out, and see if it works okay for you in Solo Mode. If you find it works within the limitations of your current Internet connection, why not continue to play it? If it doesn’t, THEN demand your refund. I mean, why jump to conclusions without even TRYING to see if the game works for you? What do you folks think? Let’s chat in the comments, because this is a topic worthy of further discussion. These days people love any excuse to get all upset about something, though, so this is an exciting day for them. Hahahaa, right? I seriously had no idea. Same here. I thought that it would be a MMO only. (And even though I do not like MMOs, I preordered it.). I wonder if you can use the “Online Solo” character, in the multiplayer. I thought it wasnt such a biggie until someone mentioned mods. Then i went oh… right. The online component better be damn impressive to compensate for the lack of mods. Not only that, but how about if the game doesnt do so well and they choose to close the server in 4 years? These are valid concerns. Hey farguin, welcome to the comments, and those are all indeed valid concerns. One would hope this game would be around for a very long time though. I’d hate for y’all to feel the heartbreak I felt when Jumpgate shut down, for example. As for mods, I do get where they’re coming from since this is such an economically focused game, but if one is really into mods, I could see how their loss would tick one off. Im mixed about it. When i first read about ED, i was meh about it having a offline mode. It kindof defeated the purpose of RvR. At that time tho i was heavily playing Eve Online so i must admit, that was part of my thought pattern at that time. Now in my life, im in the middle of moving to the mountains where my internet wont be good at all. It will do for the tasks i need, but probably not good online gaming. So with this losing offline play, im on the fence about it. I do find that we are a few weeks away from release and one of the major things that was said early on for playing it (offline) is not going to happen now. Keep in mind that elite was one of the first games i played on my c64 that got me into computers, and ive been searching and playing everything i can to fill in that hole ive been missing. Im in the same situation as thrandisher though. I only have 20G a month on my wireless modem. That prolly takes me out of most decent games? I would love to play Elite, but I assume it would chew that 20G in no time? Hey, welcome to gaming! It’s the best!!! I honestly don’t know how much bandwidth Elite uses, but I’m thinking if you use solo mode, without other players to ping it’ll likely use less. This looks like it has some good info, scroll down to “How much bandwidth do I need?”. I backed it, but I probably wouldn’t have if they hadn’t been explicit that you would be able to play offline. I’ve got a good net connection here, but there are some places I’d like to be able to play where the net connection is verging on dialup speeds, if it’s available at all. 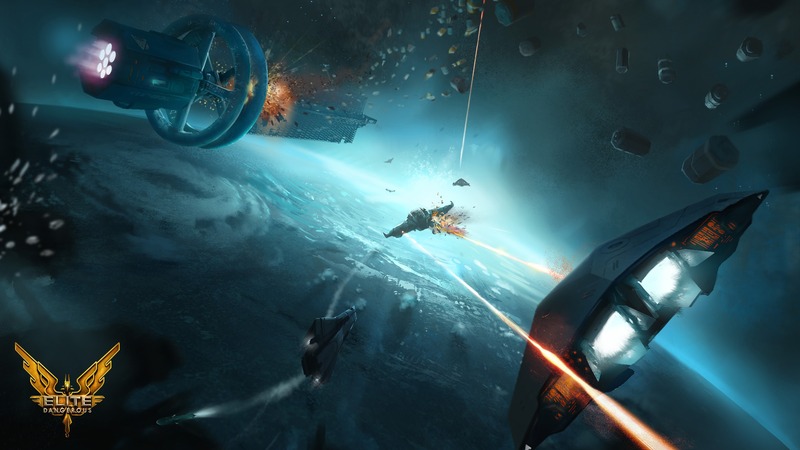 Beyond that, though, I really am not interested in an MMO; if I wanted a space MMO, I could play EVE. I want a game that won’t just up and go away when the developer inevitably no longer thinks it’s profitable enough to keep the server plugged in. I’m not frothing at the mouth about it, just mildly disappointed. That said, I backed it at the minimum that would get me the released game, so it’s not like I’m into it for much money. If I’d spent a lot on it I’d probably be more annoyed. I’m hoping it winds up being something like Minecraft, where it will connect and update if you happen to have a net connection, but if you don’t it just runs offline without complaining. Mild disappointment sounds about the right level of gamerage. I’m deeply disappointed. I’m a backer, and I asked before if the game will have a single player mode, since is the only one I will play. Whay if their severs are offline Sony style?? I have to agree with SENIL, I’m rather pissed off by the decision. I’ll probably stick with it since I’ve waited this long. But DAMN IT, doesn’t that make me a sucker that plays right into their plan? I want to say I did read something early on about an offline mode, but am not overly concerned about it’s loss. What I do wish they do is work on an offline feature so when the game servers do shut down eventually, the game can be played offline. I think that should be part of the contract with consumers – when the servers shutdown, a patch will be released to allow offline play. Lets be honest though, this change to online only is most likely due to desires for more monetization options in terms of digital ships and online advertizing (e.g. carefully placed wording within the EULA). We will never see private servers for this and my guess is Star Citizen will also make a late announcement about private servers since you can’t make money on ships if the fans create the ultimate BSG, Star Trek, Stargate, Star Wars servers with free ships. Given the statements from Michael Brookes about refunds, I jumped on that as fast as I could before all the “on a case by case basis” become too expensive for them to offer. I backed my contribution down from Star Citizen (i.e. RSI refunded $95 and dropped me to the lowest tier) which I have never regretted and I intend to attempt the get out of this and lifetime expansion altogether for Elite Dangerous. I am like Nack in that the offline mode was the only thing that pushed me over the line, since right now I don’t have tons of time for gaming. I do however have a sabbatical coming up in a few years and I had intended to relax and dig through some of my gaming backlog, to which Elite Dangerous would have been a welcome diversion. Given the online only move, so much now depends on the health of the servers at the time. Heck it will probably be free to play by then… likely another franchise chasing World of Tanks’s business model, that’s unless they figure out a way to chase DotA model instead ;). To mo thats the biggest deal. They wanted to make an successor to a game people are still playing after 20 years. I dont think they will achieve that with this crap. To me its all like Sim City. Just bull. And why does almost no one talk about the ads they are bringing in? If you dont want ads, dont play online their FAQs say. Question is only: how? I am really looking forward to play it, but this whole thing just stinks. I just hope that one day technology will have advanced to the stage where I can live my dream of being able to play an Elite game offline. There is another thing that I’d like to add. Back when the KS campaign started, we were promised with Nextonian physics. That was the reason I had initially backed E:D. However, due to the lukewarm and lazy way the campaign was run, I backed off, and now that I see that Newtonian physics is off the table (and offline-mode as well), I finally am glad that I did. Have fun with E:D, if you like, but I know I made a sound decision when I placed all of my gaming budget on Limit Theory. So far, it was worth every penny. Next story Spacey Gamey News and Deals 11/18/14: The News Floodgates Have Burst!